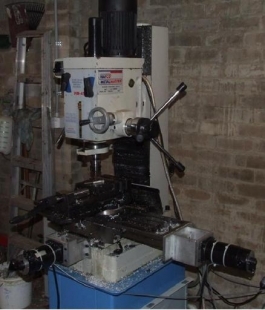 Homemade conversion of a type RF45 mill to CNC operation. All three axes are driven by servo motors. The entire project is comprehensively detailed on the builder's website.